Individually made wardrobes with sliding doors, 5-7 days. Large choice of materials. Fast and high-quality production and installation, own production. Long-term experience in wardrobes production. 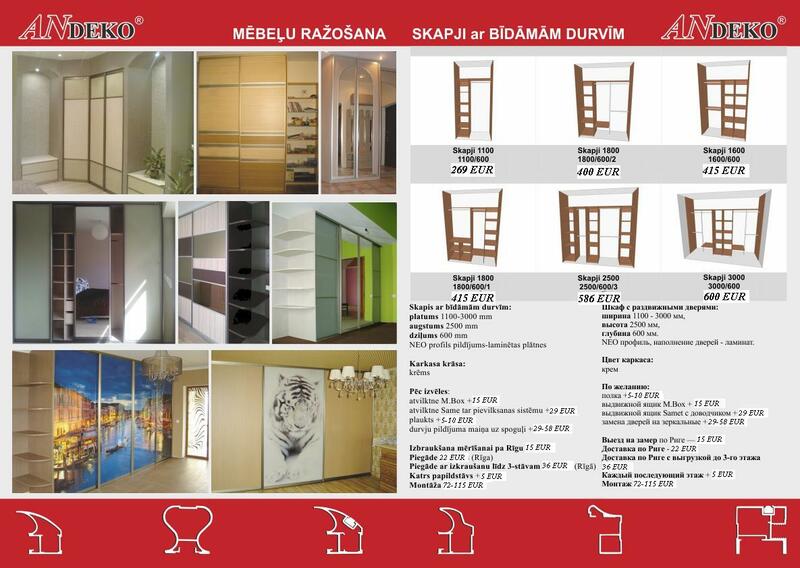 2-years guarantee for wardrobes, 5 years for sliding doors mechanisms. We are the wholesalers of sliding doors and accessories, so the prices are low. We'll help to calculate wardrobe, if client decides to make it by himself.